Since the late 1980s, OMRF has a track record of moving discoveries from the laboratory bench to patients’ bedsides. Whether in the form of spin-off companies, diagnostic tests or therapeutics, the work of our scientists has consistently given birth to biotechnology ventures that have yielded commercial success and have made a measurable positive impact on the lives of patients. A worldwide leader in rare disease drug development and commercialization, this publicly traded company has a market capitalization in excess of $25 billion. OMRF scientists made the seminal discovery that led to the creation of Soliris, Alexion’s first-in-class treatment for the blood disorder PNH. Created from an OMRF discovery, this therapy from Baxter for patients with a life-threatening protein C deficiency was the first drug licensed under the European Union’s centralized marketing procedure. This South San Francisco-based biotech company develops drugs for treatment of central nervous system diseases. Formed based on OMRF technology for the treatment of Alzheimer’s disease, CoMentis’ investors include Sanderling Ventures, Clarus Ventures and Astellas Pharma. A molecular diagnostics company, Crescendo is founded on OMRF technology that measures disease activity and treatment response in rheumatoid arthritis patients. After developing Vectra DA, an advanced blood test that measures disease activity and is used by rheumatologists and patients everywhere, the company was acquired by Myriad Genetics for $270 million. This nutraceutical company has created a topical cream for treatment of skin conditions like dermatitis and eczema. Using OMRF technology, InterGenetics developed a test to predict a woman’s lifetime risk of developing breast cancer. The product of joint research from OMRF and the Hough Ear Institute, Otologic is forging innovative approaches to prevent and treat hearing loss. Based on technology developed by OMRF and Emory University, Pamlico is creating fully human therapeutic antibodies to treat infections, with a focus on those acquired in hospitals. Progentec is developing cytokine biomarker-based tests for more accurate diagnosis, measurement of disease activity, and prediction of flares in patients with lupus. After building on OMRF discoveries to create an investigational new drug to treat ischemic stroke, Renovis was acquired by Evotec AG. This biotechnology company developed an experimental drug for sickle cell disease based on discoveries made at OMRF. Novartis subsequently acquired Selexys in a deal valued at up to $665 million. 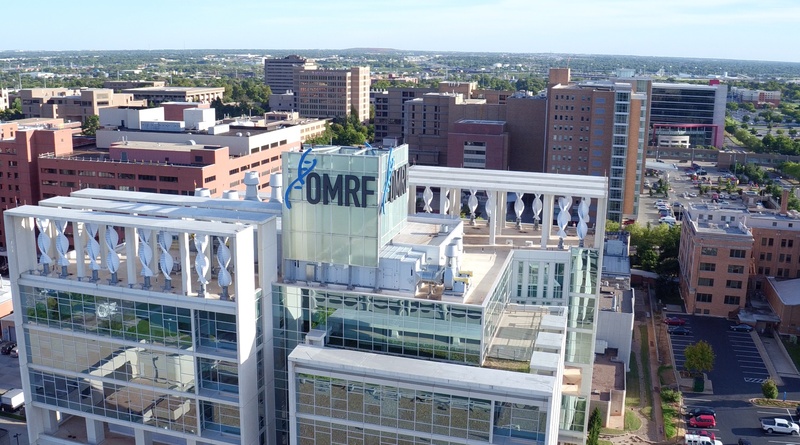 Utilizing OMRF technology, this clinical-stage biopharmaceutical company has created an experimental drug to enhance the efficacy of hematopoietic stem cell transplants derived from cord blood. OMRF discoveries led Eli Lilly to create Xigris, a recombinant form of activated protein C. Although since discontinued from the market, the drug remains the first and only treatment approved by the FDA for the treatment of severe sepsis. This Israeli company is building on OMRF technology to establish therapeutics for neurodegenerative disorders like Alzheimer’s and Batten disease. Xonovo is a portfolio company in the biotech accelerator FutuRx, which is backed by venture arms of Johnson & Johnson, Takeda and OrbiMed.